CAVS IPS-11G Karaoke Station is an innovative ultra compact multimedia player that plays photo, music, video, and karaoke from your USB memory device, such as USB flash drive, USB hard drive, MP3 player, MP4 player, etc. It also plays the same USB hard drives as those made for CAVS DVD 105G and 203G USB players. CAVS IPS-11G is a mobile and versatile player for your home as well as professional entertainment. CAVS IPS-11G connects to your audio video (AV) system and lets you view, search, and play directly on the TV screen using a remote controller. Simply connect, sit back, and enjoy. CAVS IPS-11G plays video files (MPEG, AVI, DAT, VOB), picture files (JPEG, BMP, GIF), music files (MP3), and karaoke files (CDG, MP3+G, MCG, Super CD+G, MCG-MP3). The files can be downloaded online or extracted from discs. For karaoke, the song files can be downloaded from www.cdgdownload.com and other karaoke websites, or extracted from CD+G and Super CD+G discs using MCG Manager program. The MCG Manager program is available for free at www.cavsusa.com. 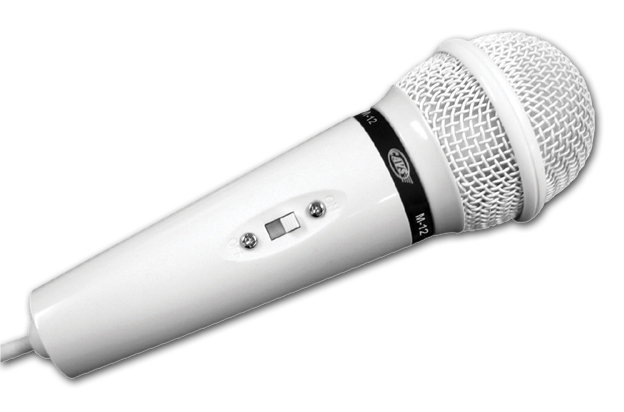 CAVS IPS-11G has a full line of karaoke functions, including Pitch control, Tempo control, Voice cancel, Search, Reservation, Dual microphone mixer, Independent volume and echo controls, etc. It will bring your USB memory device alive with fun and enjoyment. CAVS IPS-11G is compact, simple to use, and powerful. Ultra compact design with dual microphone mixer inputs, volume and echo controls, and IR remote sensor. Easy connection to USB memory devices and easy firmware update. Easy user interface for all functions and settings to photo, music, videos, and karaoke. Powerful M-12 microphone with a matching ultra compact design. 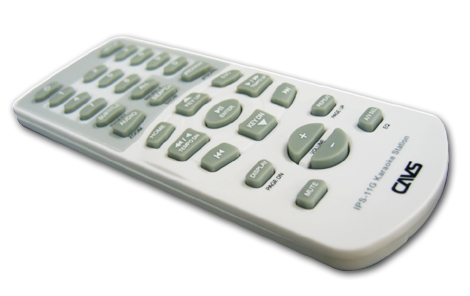 Slim design remote controller to access all menu using TV screen. MCG Manager is a song managing program developed for CAVS karaoke players including IPS-11G. MCG Manager extracts and transfers the songs into USB memory devices such that convenient features such as Select by song number, Search by title or artist, and Reservation are enabled when the USB device is connected to CAVS IPS-11G. Visit www.cdgdownload.com to download the karaoke songs for IPS-11G. Browse and purchase from thousands of karaoke songs. Refer to the FAQ in IPS-11G USER FORUM.